James E. Montgomery, Sir Thomas Adams's Professor of Arabic, recently contributed to a programme about the life and work of the pre-islamic poet Antarah ibn Shaddad, broadcast by BBC Radio 4 in their "In our time" series. This segment was subsequently chosen to feature in the channel's "Pick of the Week" selection. In the programe, Melvyn Bragg and his guests discussed the life, works, context and legacy of Antarah ibn Shaddad (525-608AD), the great poet and warrior. According to legend, he was born a slave; his mother was an Ethiopian slave, his father an elite Arab cavalryman. 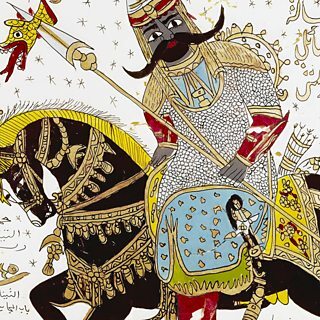 Antarah won his freedom in battle and loved a woman called Abla who refused him, and they were later celebrated in the saga of Antar and Abla. One of Antarah's poems was so esteemed in pre-Islamic Arabia that it is believed it was hung up on the wall of the Kaaba in Mecca. Alongside Professor Montgomery, the programme featured Marlé Hammond, Senior Lecturer in Arabic Popular Literature and Culture at SOAS, University of London and Harry Munt, Lecturer in Medieval History at the University of York.